REGISTRATION DETAILS WILL BE AVAILABLE IN AUGUST 2019! The Tradeshow for NW Landscape Professionals & Industry Suppliers. 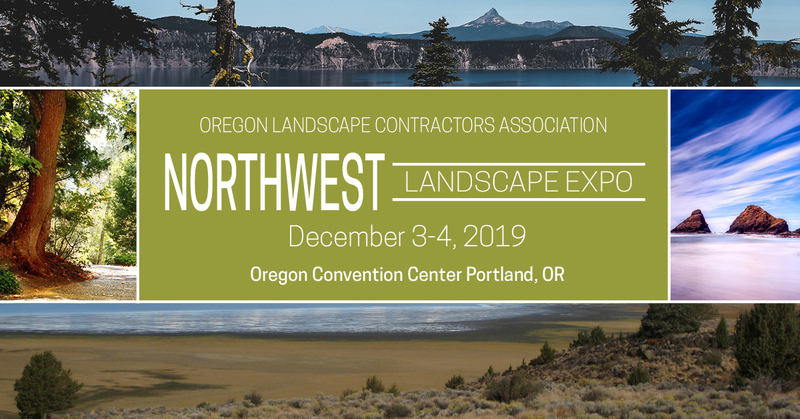 The Northwest Landscape Expo is a trade only event brought to the Landscape Industry to showcase the latest in new products, services, technologies and education that keeps you at the forefront of the industry. Learn about new Chemistries, Advanced Application Techniques, Labor Saving Products to reduce call backs, and many more topics. Continuing education credits will be available for Washington and Oregon Pesticide Applicator Credits, along with NALP (formerly PLANET) and LCB Credits. Register Fee for one-day Pesticide Training only: $200 Member/$300 Non Member. Register Fee for Kick Off Party: $35 for first attendee, $30 for additional attendees. Register Fee for Tradeshow Access (includes education): $30 Member/$50 Non Member. The Northwest Landscape Expo offers a variety of educational opportunities to the entire team. The event has exhibitions with the newest products, equipment, machinery and services, outdoor power, business coaching, bulbs, soil technologies, turf, Professional Landscape Designs, nursery, gardens, insurance and more. NW Landscape Expo is an excellent way for existing customers to see you as an integral part of their industry. It's a chance to show them you're innovative, competitive, and essential to today's and tomorrow's landscape industry. Click here for a printable exhibitor registration form.